At age 15, Allen threw in the towel and left school. At the time, she wanted to be a florist, although the allure of the music industry was always at the back of her mind. Out of school and in need of work, she moved to Ibiza, where in between partying, she worked in a local record store called Plastic Fantastic, and allegedly dealt in ecstasy. It was a fortuitous move; Allen had been rejected by several record labels, but while on the island, she met George Lamb, the former manager of Audio Bullys and an influential A&R man. Taking a shine to her boisterous attitude, and captivated by some of the lyrics she had penned, Lamb agreed to manage Allen's career. It was through Lamb that Allen was introduced to music producers Future Cat, who proved instrumental in helping the rising star find her feet as a songwriter and supplying her with some catchy backing tracks. Indeed, so catchy were these tracks that they eventually landed Allen a deal with Regal Records, a division of Parlophone/EMI, in 2005. Regal Records gave Allen £25,000 to produce an album. But beyond financials, they were unable to provide much support, in part due to their preoccupation with other releases, such as the Gorillaz's 'Demon Days' and Coldplay's 'X & Y'. Frustrated by the slow pace of the music industry and never one to take a back seat, Allen began posting demos on her MySpace page in 2005, including the singles 'Smile' and 'LDN', and embarked on a series of performances in Notting Hill's Yo-Yo nightclub in 2006, all in the quest to get her name out there. And get her name out there it did. By the summer of 2006, Allen had an astonishing 1.5 million people streaming her tracks and an additional 30,000 registered as friends. Of all the celebrities to market themselves through social networking, Lily Allen arguably did it best. The hype surrounding Allen attracted the attention of producer Mark Ronson, who flew her out to New York at his own expense. It was during this trip that Ronson, alongside another American producer, Greg Kurstin, helped her finish the album 'Alright, Still'. There was now no better time for Allen to officially release her first single, 'Smile', which shot to number one in the singles charts, and her debut album, 'Alright, Still'. The album, released in Europe on 17 July 2006, debuted at No. 2 in the UK album charts. To add to her accolades, it earned Allen five BRIT nominations and broke into the Billboard top 20 in America. Even her style of pretty prom dress mixed with attitude hoops and trainers – as displayed on the 'Smile' video – became a benchmark of cool and a staple amongst teenage girls. By the close of 2006, Lily Allen was no longer just the daughter of famous parents, but a celebrity in her own right. Her career reached greater heights the following year, when Allen took to the newly launched Park Stage at Glastonbury, a performance that the singer reflects as being the highlight of the 2006-2008 period. Meanwhile, Allen provided guest vocals on songs by music heavyweights Dizzee Rascal, Basement Jaxx and Robbie Williams. She also received acclaim for her hit interpretation of the Kaiser Chiefs' 'Oh My God', which she produced in conjunction with Mark Ronson. As her career went from strength to strength, so did her coverage in the media. Some of this attention was good: with hordes of girls copying Allen's look, she was cited as a style icon by several leading female magazines and she used these affirmations as a platform from which to launch her own fashion line, 'Lily Loves', in 2007. Indeed, Karl Lagerfield, the front man at Chanel, was so enamoured by Allen that he personally hired her to model a new line of handbags in autumn 2009. Sadly for the young star, not all the attention has been positive. Lily Allen captured the imagination of the British public, who were fascinated by her every move, especially her every bad move. Several drunken episodes, one involving her flashing at the Cannes Film Festival, have done little to fend off her critics. Nor have disparaging remarks against other female musicians gained her fans. The boundary between her public and private life became so blurred that when in 2008 she had a miscarriage with her then boyfriend Ed Simons of the Chemical Brothers, it was indiscriminately plastered across all the tabloids. 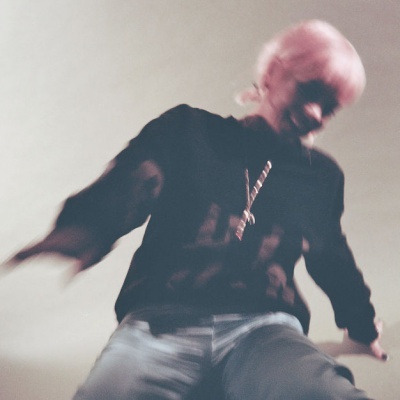 But as the saying goes, what doesn't kill you makes you stronger, and with that Lily Allen channelled both the positive and negative energy into her second album, 'It's Not Me, It's You'. Written and recorded exclusively by herself and Greg Kurstin, this album evolved from a week the pair spent together at a tiny rented cottage in the Cotswolds in 2007. By the week's close, they had six songs and a darker, more mature sound. As with the first album, Allen whetted the public's appetite by releasing some songs first on MySpace. The album did not become formally available until 9 February 2009 in the UK. It instantly soared to the number one spot in the UK, Australian and Canadian album charts, and reached number five in America.